Spring is usually the most popular time for people to schedule their major house cleaning overhauls. And that unfortunately includes that pesky window cleaning! What better way to let the Spring light shine through your windows then to spruce them up with a fresh cleaning. When the sun is out, it may leave you with streaks since the water will dry faster. Make sure you are washing from top to bottom so you are not bringing dirty water to the top to drip down your freshly cleaned windows. It is also common for people to clean their gutters in the spring. Not only is this important for the maintenance of your home, but it will help keep your windows and house clean. Clogged gutters cause run off down the sides of your home which will make your exterior wall and windows grimey! Screens trap debris and dirt that are transferred to your windows when it rains. 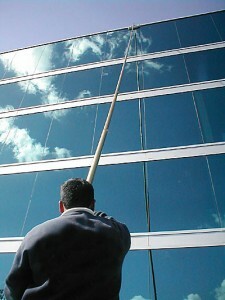 Book an appointment with your Orange County window cleaners to do the hard part. Schedule your appointment now while we still have appointments available to take advantage of our spring specials!